Don't fall at the final hurdle when it comes to presenting your lingerie gift; instead, pop it in this pretty lace lingerie bag instead. Measuring in at 56cm long and 38cm wide, this bag is ideal for storing and presenting larger lingerie gifts. Order over the phone: Call 0333 103 6969 and quote code 68032. 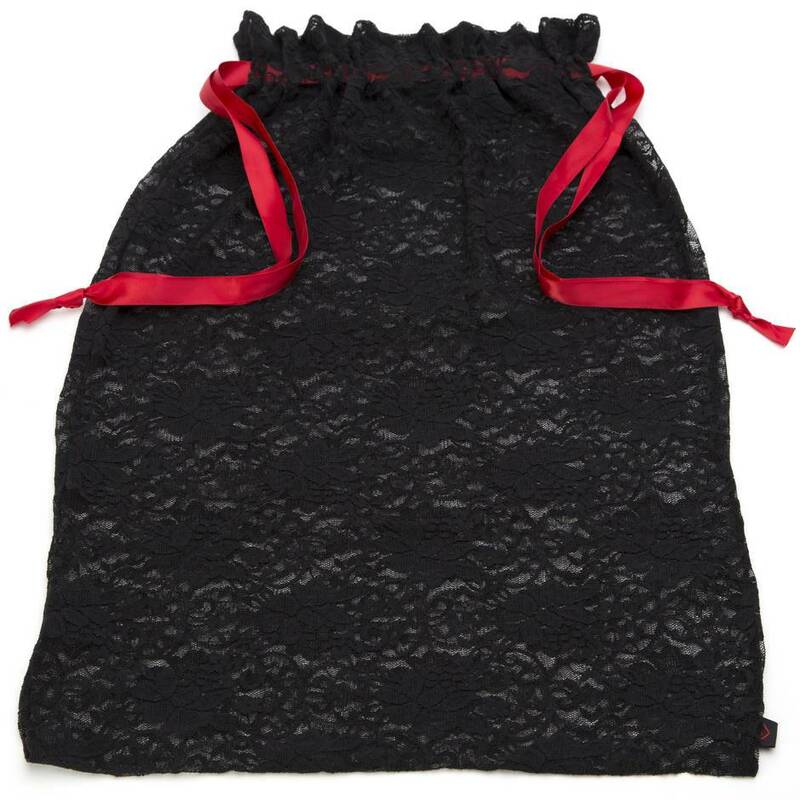 Made from stretchy black lace that adapts to fit the contents, this bag is the ideal way of giving a glimpse of your lingerie gift without giving everything away. Plus, it's a great way to safely store any underwear to keep it from snagging on any other clasps or fastenings. Having already purchased the smaller version of this bag for Mrs Onlyones I knew this would be bigger, but was still a little surprised at just how big it really is. These bags are a really nice addition to any lingerie collection and help keep a little order to what can easily become an untidy mess where you can never find what you are looking for. Mrs Onlyones uses this for storing her bodystockings. The bag is well made the red ribbon looks great against the black lace and she has been very happy with it. Your lingerie collection needs this. I ordered this just as an extra to complete an order, I didn't check the measurements so when it arrived I was amazed at the size of it. It's brilliant, tons of room to fit my lingerie safely in it, I love it. It's the perfect size to lay flat inside a large drawer and safely store a couple of my beloved basques. 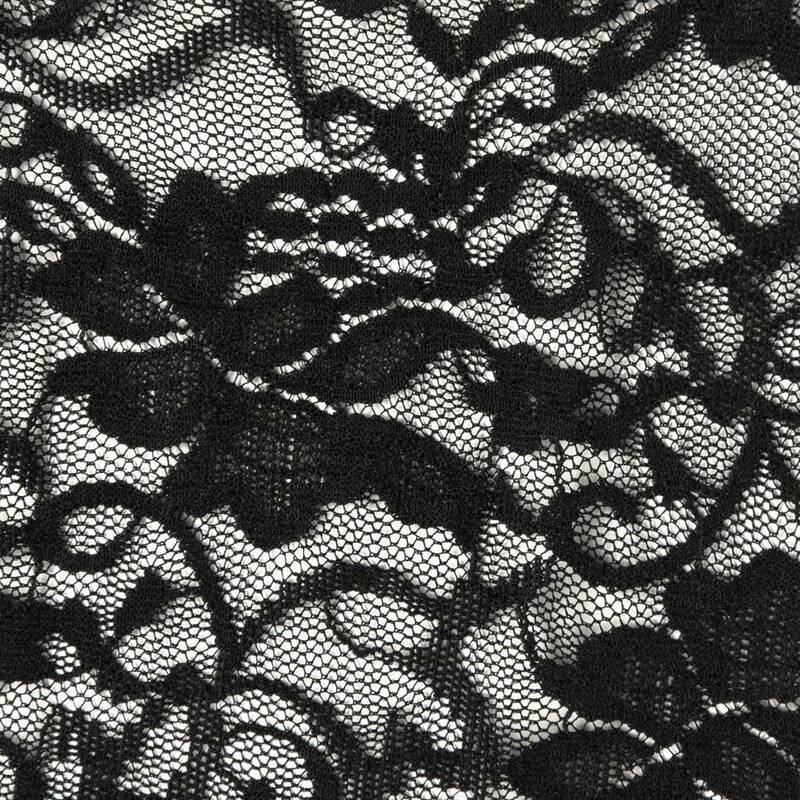 The lace is soft, no danger of causing any damage to delicate lingerie and there's a satin ribbon to tie it safely up. It would be perfect to use to gift wrap that special set of lingerie for the lady in your life. Brilliant, can even fit basques inside it. It's worth the money. Plus, I like the lace effect.